Lentils to me had always been thought of as a vegan/vegetarian staple, not for a meat-lover like me. 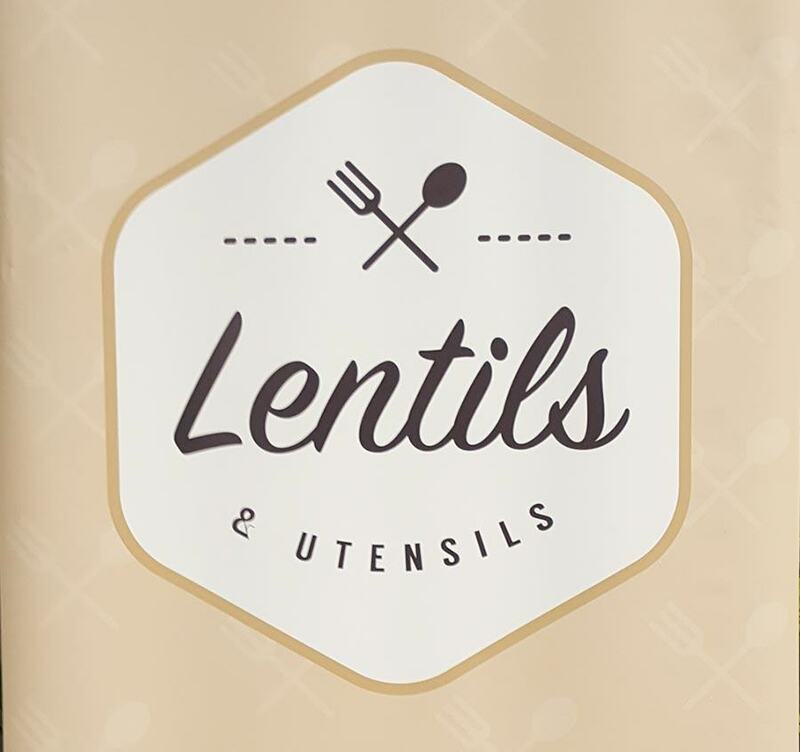 In fact, when I think of lentils, the only preparation that comes to mind is lentil soup. 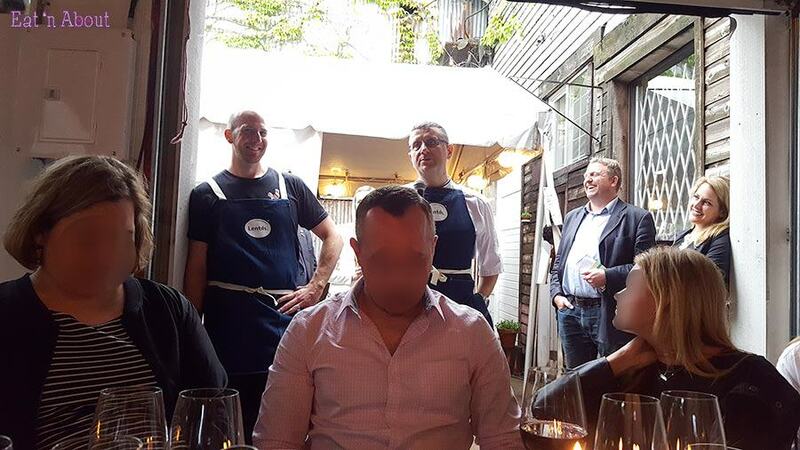 So when I received an invite to a popup dinner organized by Canadian Lentils, with Chefs Pino Posteraro of Cioppino’s and Trevor Bird of Fable Kitchen manning the menu and kitchen, I was in! 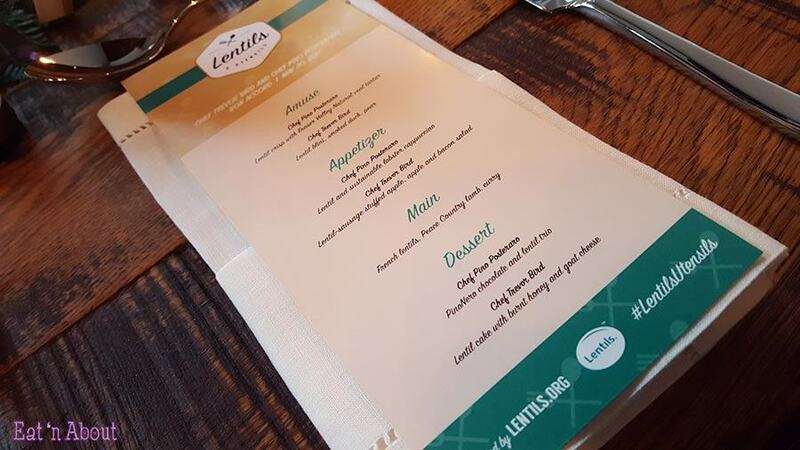 After all, it would be intriguing to see how lentils can be incorporated into all 3 courses of a meal, especially into the dessert portion! The event was held in East Vancouver at the Union Wood Co. building. 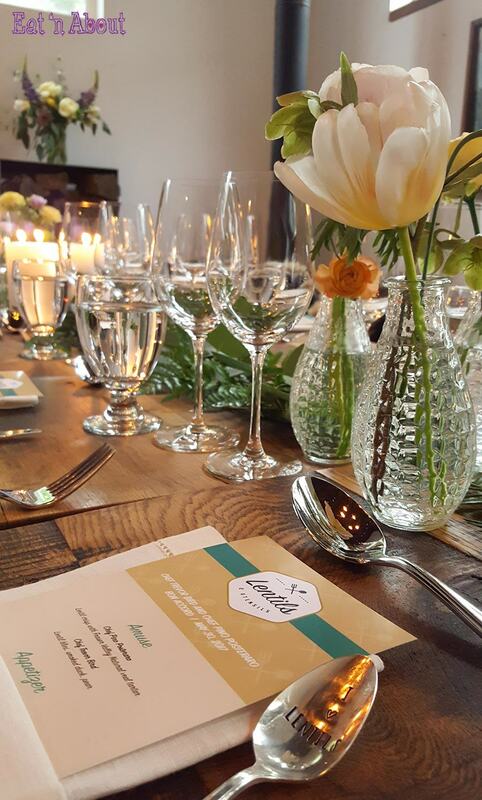 The venue was beautifully decorated and the table setting was just lovely. Upon arrival we were served 30 Acres beer and Bordertown Vineyard wine (who is also providing the wine pairings throughout dinner), and two amuse bouches each designed by each chef before the sit-down dinner portion was to begin. 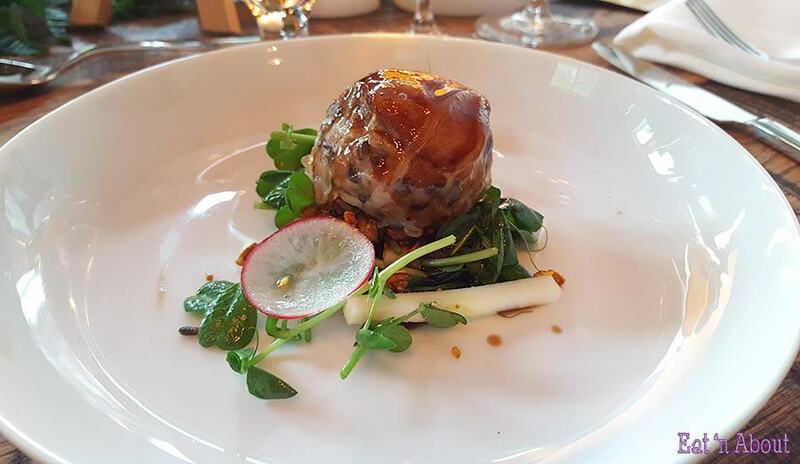 Chef Pino’s creation was the lentil-forward Lentil crisp with Fraser Valley Natural Veal Tartare (although the servers gave it a more glamorous description of Veal Tartare with Lentil Caviar). 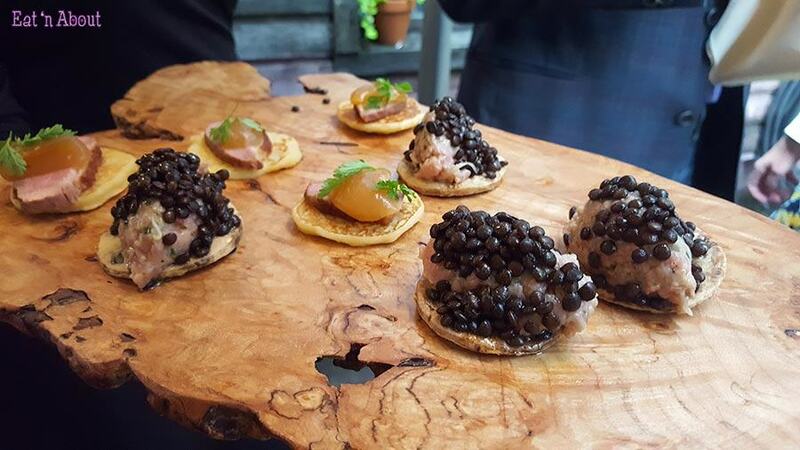 The black beluga lentils gave the bites texture over the soft tartare. Chef Trevor’s Lentil Blini, Smoked Duck, Pear was a more subtle lentil creation as you can’t taste the pulse here at all. This would be a great way to incorporate the nutritional benefits of lentils into your dish if you don’t care for the taste or texture of lentils. And then we were told to take our seats as dinner service was about to start. Representatives from Canadian Lentils as well as a real farmer from Saskatchwan, the representative of Bordertown Wines, and Chef Trevor all gave short speeches. Then dinner was served, and each course, if not each dish, had a different wine pairing. We were started off with Chef Pino’s Lentil and Sustainable Lobster Cappuccino. I think we were all a bit confused with the ‘cappuccino’ part as there was not coffee to be found. 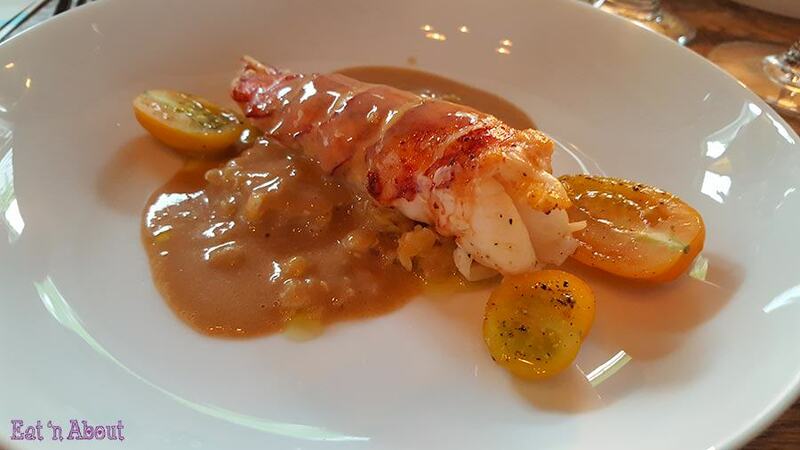 I think by ‘cappuccino’ Chef Pino’s vision was the delicious, intensely flavored foamy lobster bisque-esque sauce/emulsion overlaying the dish. The lentils here were soft but still retaining a bit of texture, and helped to soak up every last bit of that ‘cappuccino’. Delish! Chef Trevor’s Lentil-sausage stuffed apple, apple and bacon salad (seems to me should be ‘apple-stuffed sausage’) was deliciously sagey and savory, and once again I couldn’t taste the lentils at all even though I could see them. Goes to show how you can incorporate the pulse whether you enjoy the taste of it or not. 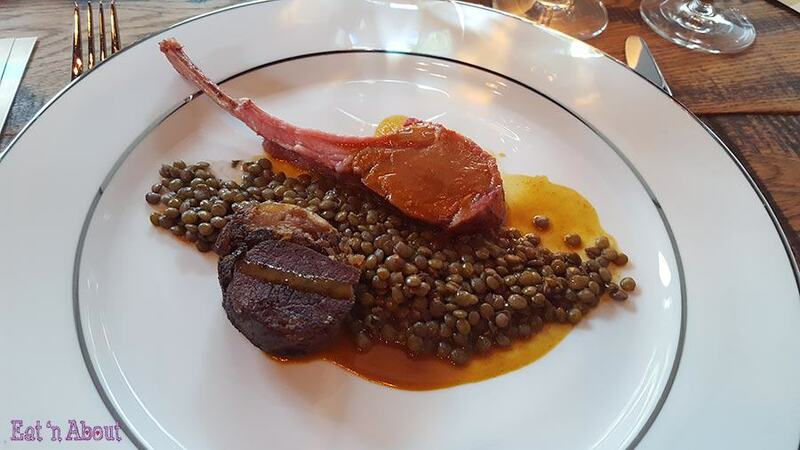 The entrée, French Lentils, Peace Country Lamb, Curry, was a collaboration between the two chefs. The lamb chop was done perfect for me (you can’t really go wrong) with the perfect tenderness, and the curry had a good kick to it. Again the lentils here worked for you to sop up all of the sauce. My other piece of lamb was too dry though with not enough fatty bits to moisten it up. AngryRussian had a good piece though. And then it was dessert. I was excited to see what could be done with lentils here. Chef Trevor’s creation, Lentil cake with burnt honey and goat cheese, was served first. I love myself a goat cheese cake so this was right up my alley. The lentil cake was dry and crumbly much like a black bean cake, so not everyone would like that. The soft goat cheese mousse helped to mask some of the beaniness I found with the lentil cake and also added moistness. 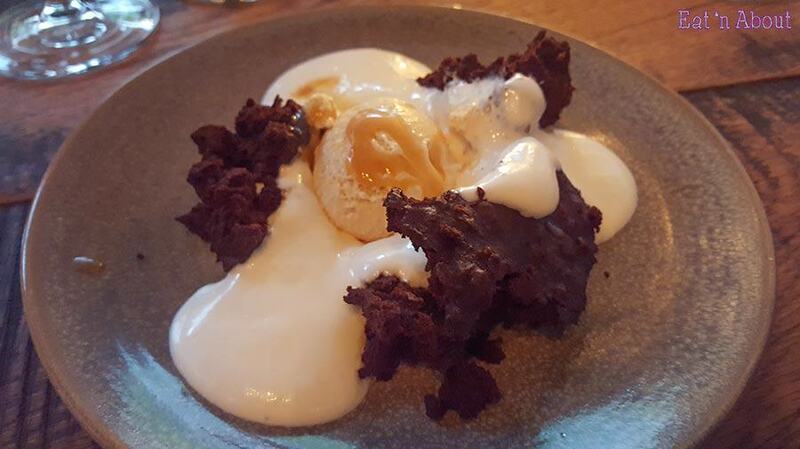 The burnt honey ice cream was amazing and everything worked well for me. 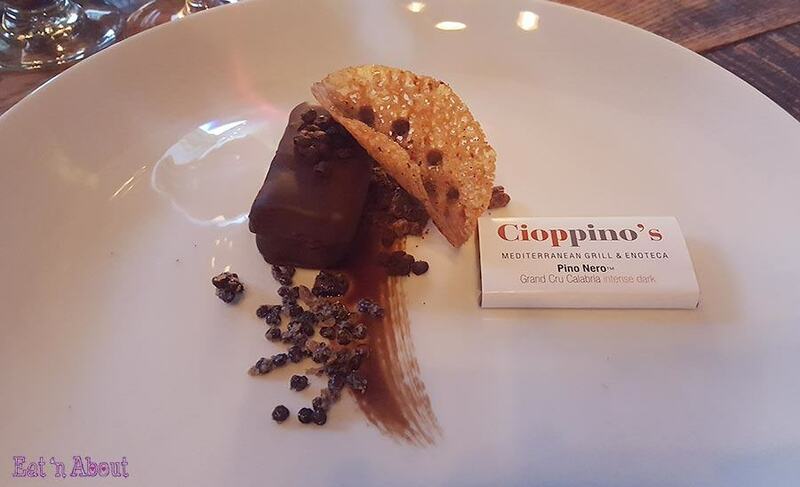 Chef Pino’s PinoNero Chocolate and Lentil Trio was like a chocolate mousse cake encased in more chocolate. Lentils were prepared two ways- some coated with dark chocolate and some with sugar, so they together added a nice crunch to the mousse. The crisp also had lentils. Disclaimer: The meal was complimentary for promotional purposes but all opinions are my own.